Your favorite truffle ready to serve the masses! 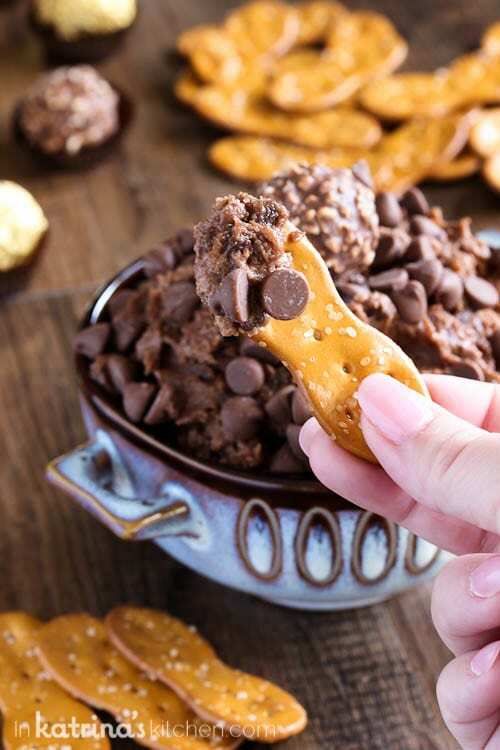 This Chocolate Truffle Dip tastes just like its tiny namesake, and you can keep coming back for more! It’s difficult to explain my blogging friendships to the people in my everyday life. It’s even more challenging to explain my deep sorrow of the sudden passing of my online friend and fellow blogger Joan Hayes of Chocolate, Chocolate, and More. Food bloggers make up a unique and tight knit community. Although we may only meet one another once or twice (if we’re lucky!) we talk to each other daily. We read each other’s stories and stay connected through pictures. It may seem odd to some, but it’s a family, a community. We celebrate baby showers and milestones together. We support and rally on each other’s behalf. And today we grieve together. Joan loved encouraging others to be their best. Joan loved learning new things. Joan loved challenging others to get active (and she often won our Fitbit challenges!). 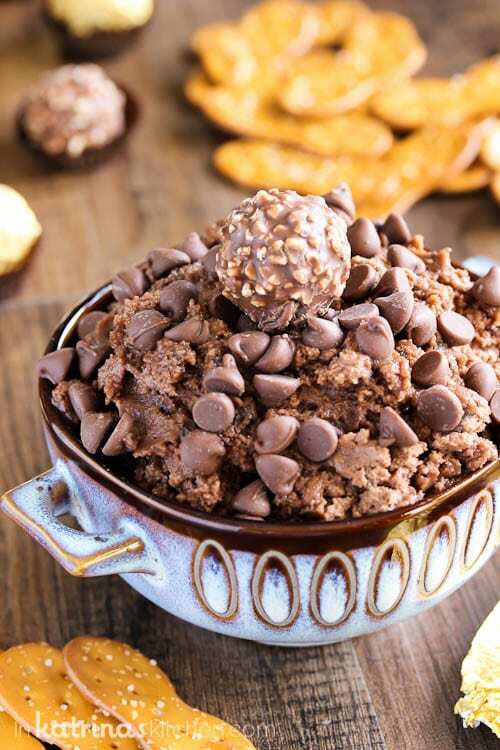 Joan, this Chocolate Truffle Dip recipe is for you. 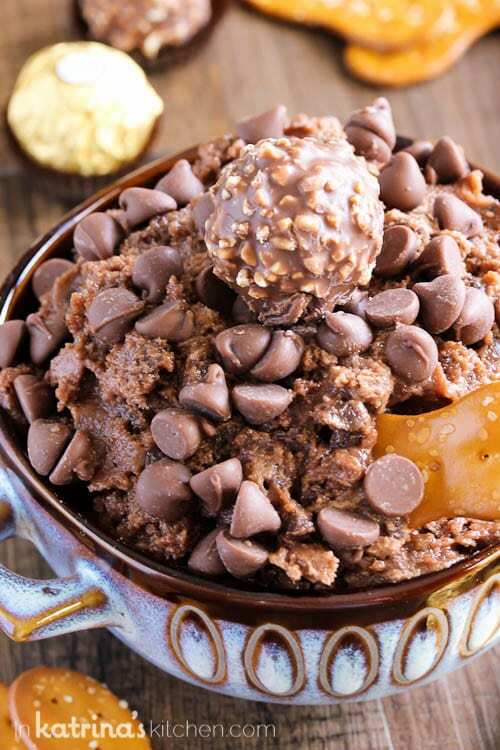 In a large bowl using a hand-held mixer or stand mixer fitted with a paddle attachment, cream the butter, Nutella, and brown sugar for 2 minutes until light and fluffy. Add the flour, vanilla, and salt. Slowly beat in milk to thin to desired consistency. Fold in the chocolate chips. Chill for at least 30 minutes. Sprinkle with more chocolate chips when ready to serve if desired. The food blogging community is pretty awesome!!! Totally hard to explain to real life friends though! What an awesome dip and perfect way to remember Joan!!! She would have loved this. And your amazing words. Well written my friend. Beautifully written and Joan would’ve just grabbed a spoon for that amazing dip. Such a great post Katrina! I’m so thankful for our community. Love the dip too, Joan would have loved it! 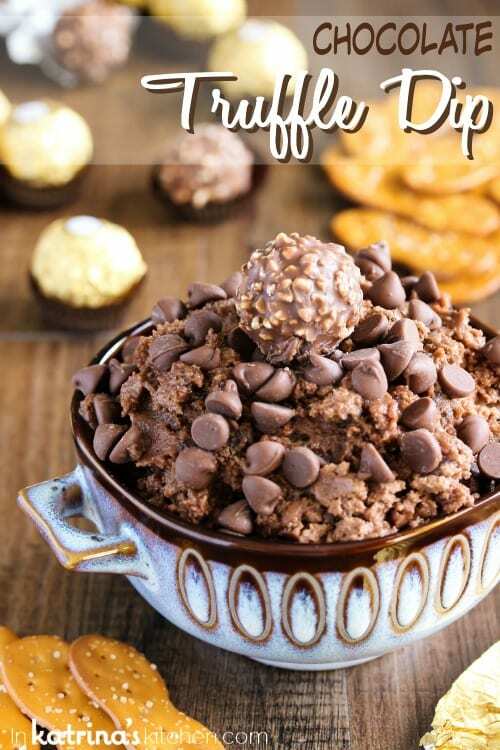 this is the perfect way to honor Joan-this dip is so chocolatey and fun and perfect! Just a few simple words about what she loved made my eyes well up again. So perfect, Katrina! You are so right about how it is hard to explain this community to people, but it is a community I would not give up! Wonderful tribute and such an amazing recipe!